Six months ago, New Tech Network made a significant shift in our thinking. For more than a decade, our school coaches had worked to guide adults on campus toward a set of behaviors that were the hallmarks of the New Tech model (i.e. using projects with entry documents and rubrics, assessing students on 21st Century skills like critical thinking and collaboration, or using a digital course agenda). What we found is that we had simply replaced one compliance model with another and many of our schools failed to see the larger purposes of these practices. So, about a year ago, we dived into the work of figuring out how to measure a school through the lens of student outcomes rather than adult behaviors. We knew we wanted to create something that went beyond test scores and truly define a school we would want to send our own kids to. We asked ourselves, what do we want our students to experience and learn while at school? The result was a surprisingly simple framework that has lots of implications about what learning must look like to prepare students for success in college, careers and civic life. New Tech Network’s School Success Rubric sets out a vision for the high school graduate. 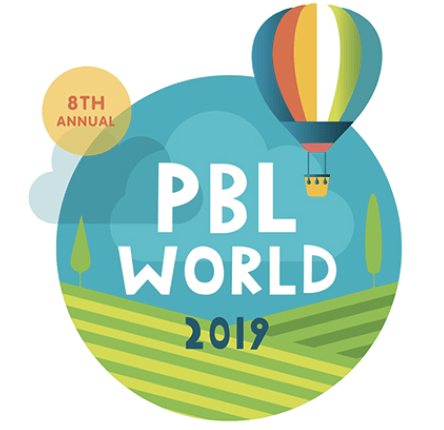 It is surprisingly agnostic on teacher practice and ignores the language of PBL or technology use. Instead, it focuses on three big outcome domains: Learning Outcomes, Culture Outcomes, and College and Career Outcomes. The descriptors incorporate everything from developing complex academic thinking to establishing a growth mindset to forming positive relationships with adults and peers. A quick look down the “successful” and “highly successful” columns and it becomes clear that we set the bar pretty high. It’s also important to note that we believe successful school systems strive to achieve these outcomes for every student. The result of this work has reshaped the culture and practices of how New Tech Network supports schools. We still have long lists of best practices to draw on as a way of achieving those outcomes, but we now work with schools to help them understand that it is the outcomes and not any particular practice that drives the work. We have found it is much harder to resist change in service of a student outcome than it is to resist change in service of a particular practice. With a shared vision of the graduate, it is much easier to align teaching and learning practices and help teachers through the learning curve of providing more student-centered instruction. By focusing on a set of holistic student outcomes instead of adult practices, we have both raised the standards we want all students to reach and empowered schools to continually strive to do what it takes to reach them. The New Tech design is a blueprint, accompanied by a set of core beliefs, tools, and strategies to help each school fulfill its purpose. New Tech design principles provide for an instructional approach centered on project-based learning, a culture that empowers students and teachers, and integrated use of technology in the classroom. Paul Curtis was one of the original teachers at New Technology High School and now serves as the Director of District Development. He has always valued the opportunity to work in an environment that allows for block scheduling, team teaching, project-based learning and ubiquitous use of technology as a means to achieving higher student engagement, deeper learning outcomes and college/career preparedness.